Hiab, part of Cargotec, has secured an order for close to 40 LOGLIFT F96ST forestry cranes from Russia. The customer is ULK, a group of Russian companies specialised in logging, deep wood processing and disposal of waste lumber. The value of the order exceeds EUR 1 million and it has been booked into Cargotec's third-quarter order intake. "We will build a new wood processing plant next to the existing plant. As a result, this complex will be Russia's largest woodprocessing factory. In order to provide the plants with a stable and uninterrupted supply of timber, we decided to order LOGLIFT cranes because we trust their quality and durability," says Vasiliy Vasilievich Kuznetsov, Technical Director, ULK. "LOGLIFT F96 forestry cranes combine power, speed and efficiency. The telescoping model of LOGLIFT 96S can effortlessly reach the pile from further away and load the timber straight to the back of the trailer," says Hannu Virtanen, Director at Hiab Russia. The deliveries of the forestry cranes start in November and will be finalised by the end of 2017. "We are very happy to receive this order from ULK and our wish is that this delivery is a good start in our cooperation. 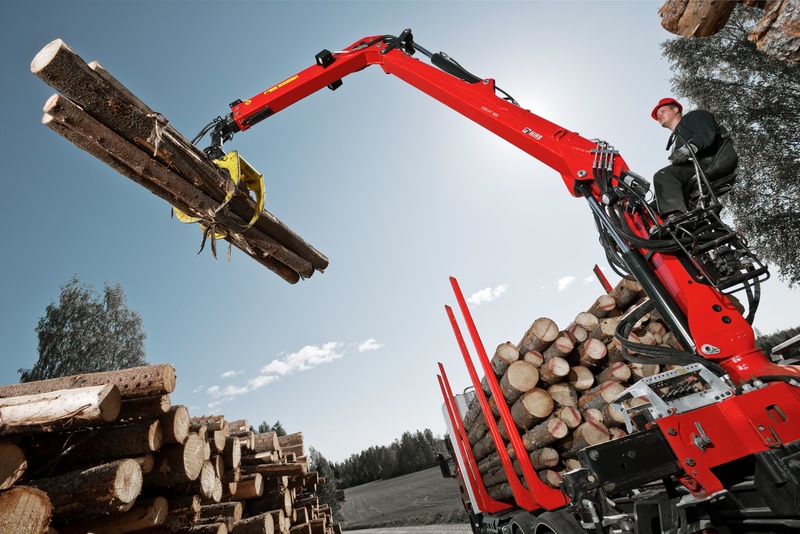 This order is also a great success for our ambition to grow the Hiab business in the important and recovering Russian market," says Hans Ekman, Vice President, Forestry Cranes, Hiab.